Hillsdale College’s vac­ci­nation policies are more lenient than those of many col­leges nationwide, but they closely resemble those of other Mid­western col­leges. The college requires stu­dents to submit immu­nization records proving they have received appro­priate doses of the Tetanus-Diph­theria-Per­tussis, Hepatitis B, Meningo­coccal, Measles-Mumps-Rubella, and Polio vac­cines before reg­is­tering for classes. Addi­tionally, stu­dents must provide a record of a neg­ative Tuber­culin test and report either a history of Vari­cella (Chicken Pox) or that they have been vac­ci­nated for the disease. Stu­dents can, however, decline inoc­u­la­tions “for per­sonal, reli­gious, or philo­sophical reasons,” and instead submit an immu­nization waiver. It is uncommon for a college to grant vac­ci­nation exemp­tions for non-medical reasons, but Director of Health Ser­vices Brock Lutz explained that the college’s policies are in line with Michigan state law. While all states permit cit­izens to decline vac­cines for medical reasons, and most allow inoc­u­lation rejection for reli­gious reasons, Michigan is one of fewer than 20 states that allows cit­izens to refuse immu­niza­tions for per­sonal reasons, according to the website of the Immu­nization Action Coalition. Hillsdale College’s immu­nization policy closely matches those of other mid­western col­leges, from small, private, liberal arts col­leges to large, public col­leges. Min­nesota, Ohio, Penn­syl­vania, and Wis­consin, like Michigan, also allow cit­izens to claim vac­ci­nation exemp­tions for per­sonal reasons. Hope, Calvin, Grove City, Beloit and Car­leton col­leges as well as Ohio Wes­leyan and Grand Valley uni­ver­sities grant non-medical exemp­tions that allow unvac­ci­nated stu­dents to attend. 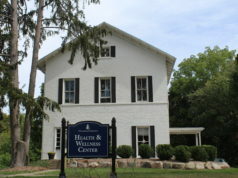 Car­leton College’s form states that it will grant exemp­tions for “con­sci­en­tious or reli­gious pur­poses,” and Beloit College states that it will allow exemp­tions if they are nec­essary “due to religion, per­sonal con­viction or medical con­traindi­ca­tions.” The other col­leges do not specify what cat­egory of non-medical exemp­tions they accept. Ohio Wes­leyan Uni­versity and Calvin College require stu­dents to meet with a member of the schools’ medical per­sonnel before approving their requests for exemp­tions. The other col­leges, including Hillsdale College, simply require stu­dents to submit a vac­ci­nation waiver stating the reason(s) for which they refuse immu­niza­tions. Lutz esti­mates that 25 to 30 stu­dents submit vac­ci­nation waivers each year. By signing the waiver, stu­dents consent to being “excluded from the college for an extended amount of time or until the health risk sub­sides” in the event of a disease out­break. 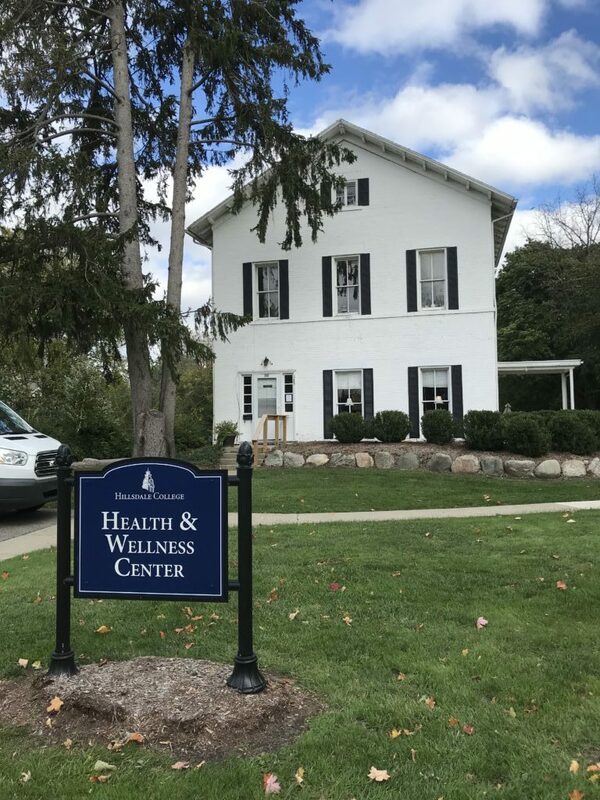 Like that of other col­leges, Hillsdale’s vac­ci­nation waiver informs stu­dents who forego immu­niza­tions that they are assuming a higher risk to their health than those who accept vac­ci­na­tions, and obliges them to care for them­selves accord­ingly. Eliz­abeth Palmer, a senior majoring in biology, recently pre­sented her research on vac­cines. She said she believes it’s important for stu­dents to know that their per­sonal immu­nization choices have campus-wide ram­i­fi­ca­tions, and explained that herd immunity, a population’s col­lective resis­tance to a disease that results when a suf­fi­cient portion of its members is inoc­u­lated, is weakened as more stu­dents elect not to vac­cinate. The young, old, and those with weak immune systems suffer most acutely as herd immunity declines, she explained. “I per­sonally see it as our job, as healthy people, to protect the helpless by vac­ci­nating our­selves,” Palmer said.